Nationality: American. Born: Madrus, Oregon, 23 August 1970. Career: Acted in commercials as a child; played guitar and sang in the band Aleka's Attic; played Guthrie McFadden on TV series Seven Brides for Seven Brothers , 1982; appeared in episodes of TV shows Family Ties , 1982, It's Your Move , 1984, Celebrity , 1984, and Hotel , 1984. Awards: National Board of Review Award for Best Supporting Actor, for Running on Empty , 1988; Independent Spirit Award for Best Male Lead, Volpi Cup, Venice Film Festival, National Society of Film Critics Award for Best Actor, for My Own Private Idaho , 1991. Died: In Los Angeles, of a drug overdose, 31 October 1993. Interview in Time Out (London), no. 1127, 25 March 1992. Glatt, John, Lost in Hollywood: The Fast Times and Short Life of River Phoenix , New York, 1995. Robb, Brian J., River Phoenix: A Short Life , New York, 1995. Films and Filming (London), no. 398, November 1987. Obituary in Variety (New York), 15 November 1993. "River Phoenix ne sera pas Rimbaud," in Télérama (Paris), no. 2288, 17 November 1993. Obituary in Mensuel du Cinéma (Paris), no. 12, December 1993. Obituary in Sight and Sound (London), vol. 4, no. 2, February 1994. "River Phoenix," in Stars (Mariembourg), no. 19, Spring 1994. Indiana Jones and the Last Crusade may transform into Hollywood schlock one of Western culture's most sacred secular myths, but it is no doubt a fascinating study of masculine styles across the generations. The film's bravura opening sequence features River Phoenix as the young Indy battling a ruthless gang intent on robbing an archaeological site of its treasures. The encounter features the athletic derring do and hijinx which is such a conventional part of the series, with Indy eluding the gang on a moving train through his verve, determination, and sheer guts. The renegade archaeologist regains his treasure through bribing the sheriff, in whom Indy, who is a Boy Scout after all, naively trusts. But he acknowledges the young man's talents and character by giving him his safari hat as a badge of honor in an Oedipal rite of passage that is played out later in detail in the relationship between the adult Indy and his father. Phoenix's performance is engaging and charismatic, just the right mixture of exuberant disobedience and respectful dedication to his father's professional values. If this part of the film is about a hero in the making, at the same time it reveals a star in the making. Because he died young, the victim of a dramatic drug overdose, Phoenix never became the star that his riveting performance in Indiana Jones and the Last Crusade establishes that he was destined to be. The films in which he did appear, mostly as a supporting player, certainly attest to his acting talents and star quality. In Sneakers , he holds his own as part of a powerful ensemble—including Robert Redford and Sidney Poitier—in a caper film that takes good advantage of his physical energy. Somewhat less prominent in I Love You to Death , he nevertheless plays an important character, a 1960s throwback named Devo who is only slightly more connected to contemporary reality than either the main characters—a woman eager to murder her unfaithful husband—and the other supporting kooks, including a pair of dopehead cousins played by William Hurt and Keanu Reaves, whom hipster wannabe Phoenix engages as killers for hire. In both Running on Empty and The Mosquito Coast , he plays characters much like the young Indy, strong adolescents who have to assume adult responsibilities when their parents prove weak. 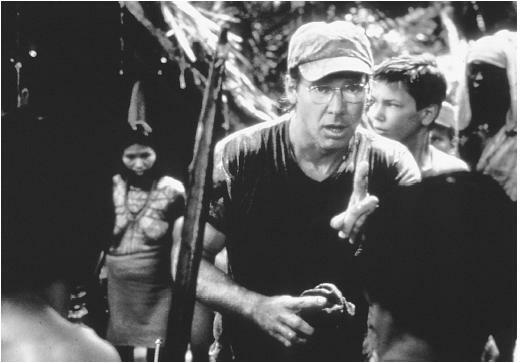 Both films offer him strong parts: the first as an adolescent desperate to grow up and mature despite the fact that his 1960s radical parents, guilty of murder, must stay on the run; the second as a loving son who stands by his father even when the somewhat deranged environmentalist moves them suddenly to a dangerous and primitive part of Honduras. In Little Nikita , Phoenix offers an effective variant of the same character. Here he is in effect cut loose from family ties, since the premise of this thriller is that his parents are actually Russian agents. Phoenix makes much of what could be an implausible and unaffecting storyline as he learns to trust the FBI agent, played by Sidney Poitier, who helps him come to an understanding of who he is. Unfortunately, Phoenix is somewhat lost in a similar role in Sam Shepard's quirky and obscure western, Silent Tongue , where identity and ethos are likewise at stake, but then so is everyone else in the talented cast, including veterans Richard Harris and Alan Bates. Like James Dean, Phoenix may be most remembered for his nicely controlled performance in a coming of age drama, Stand by Me , where he is a standout in a talented ensemble of young actors, including Wil Wheaton and Corey Feldman. Phoenix is the emotional center of an unabashedly nostalgic and old-fashioned film, directed by the modern master of such tearjerkers, Rob Reiner. The underappreciated A Night in the Life of Jimmy Reardon offers Phoenix a different kind of role that he also makes a success. A creepy hipster, eager to sleep with every girl he comes across, Jimmy Reardon does have true feelings for a young beauty; only apparently aimless and self-gratifying, Jimmy is also a kind of intellectual idealist who defies his father's wishes and wants to attend a small college, where he thinks he can excel. Selfish but not unfeeling, Jimmy is a difficult character to like in this American Graffiti drama, but Phoenix succeeds in making him interesting and sympathetic in spite of himself. It's a complicated, layered performance in a film that offers more than meets the eye. Phoenix demonstrates here and elsewhere that he was more than just a good-looking kid with energy; he was also an actor of not inconsiderable talent.